We’re renowned for our Tiny Tots ski lessons for young children! 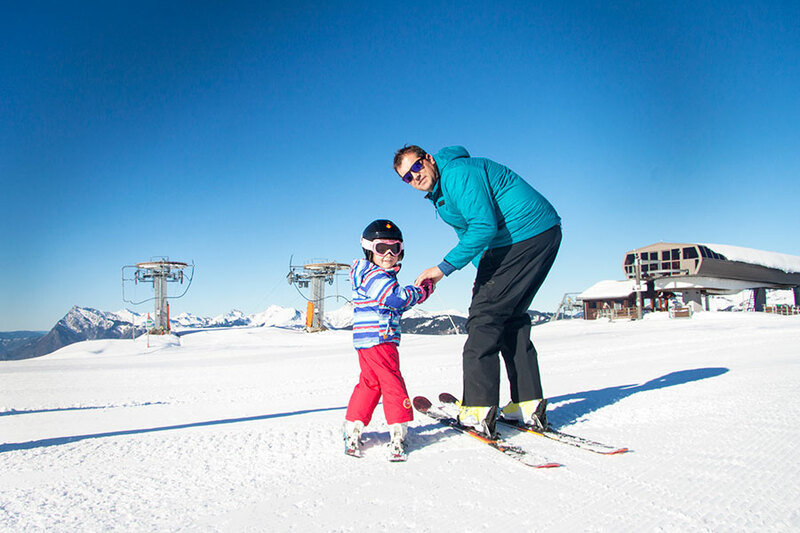 Our child-friendly instructors are pleased to offer intimate one-on-one sessions designed to get children aged between 3 to 6 years of age up and skiing with a smile. With a gentle and friendly approach, our primary aim for children this age is to teach them to love to ski, because we realise that if your child is enjoying their ski holidays, then you’ll enjoy yours. Tiny Tots ski lessons for young children run for 30-60 minutes and are designed to be fun and dynamic rather than too technical. The goal is that that children enjoy the experience and leave eager to ski again. They will practice simple turns and begin learning to stop in a snowplough, progressing towards being able to take a button lift independently. Children less than 5 years of age who are already capable of taking a button lift unaccompanied may join children’s group lessons. Tiny Tots tuition are ski lessons for young children especially designed for children aged 3 to 6 years of age who are not yet able to take a button lift confidently on their own. This style of one-on-one tuition is the formula our own instructors use to get their own children onto skis with a smile. It is all about ensuring that the child’s first ski experience is a positive one. NB: We recommend one 30 minute session per day for children aged 3-4yrs, and one 60 minute session per day for children aged 5 to 6yrs. When a child is able to take a button lift independently, they may join our children’s group lessons.